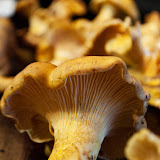 100 Lakes on Vancouver Island: Chanterelle Season! I was not overly motivated to get out on the water this weekend, but I did take two long walks between rain showers and saw lots of mushrooms, including hundreds of Fircone cap -- that funky little mushroom that grows out of fir cones littered on the forest floor. 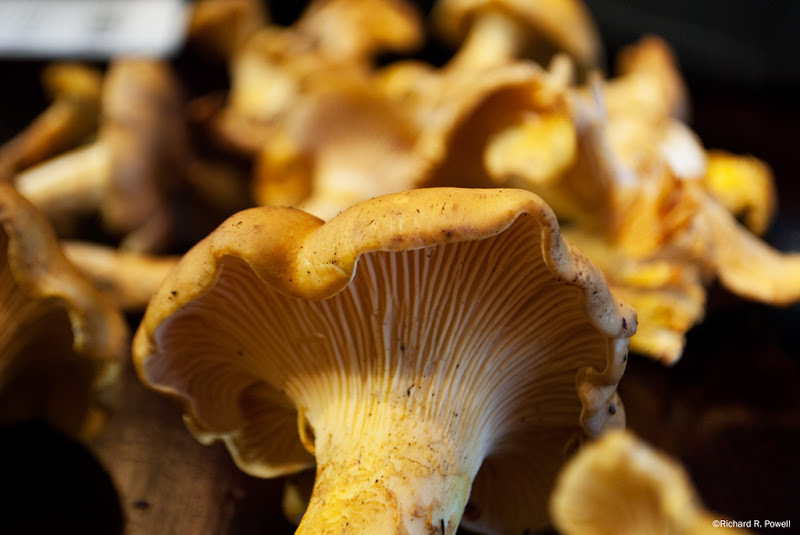 Of the edible kind I saw a few Rosy Gomphidius, some puffballs, and happily some Pacific Golden Chanterelles. Of the non edible variety I was fortunate to see what I believe was Clustered collybia along with some very large Rosy Russulas and some very badly mangled Wooly Chanterelles. Great picture. I have seen some great mushrooms while fishing lately. This is my first time on your blog. It is very nice! just found your blog, what an awesome idea. I can't wait to read through all your posts. Used to live there and going back soon!